Does your child grinds his teeth noisily during his sleep? He may be suffering from condition known as bruxism. The term may sound scary, however, it’s not that a serious condition. It is just a medical term used to define the grinding of teeth or clenching of jaws, most commonly during sleep or under stress. Approximately 33% of children are thought to experience this condition. As a mother, you would want to be absolutely sure about your kid’s health and would like to ensure his well being. 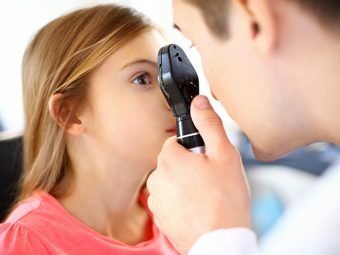 Well, here we’ve elaborated, its causes, symptoms and treatment options- and it’s not just for your kid, if you too, are affected by this condition, a little info may help you too. The top and bottom teeth in children may not be aligned perfectly. The grinding of teeth may be in response to pain such as that in toothache or earache. It may also be in response to nervousness or tension. Anger and stress may also trigger grinding of teeth and clenching of the jaw. Hyperactive children are more likely to be affected by bruxism. Certain medications may also cause this. It has also been found that certain allergies may cause grinding of teeth in children. Pinworms are also believed to be a trigger for this condition. Certain sleep disorders are linked to teeth grinding. Drooling or talking in the sleep could be a reason. Those having personality disorders such as obsessive compulsive disorder and aggressiveness have an increased likelihood of being affected by this condition. 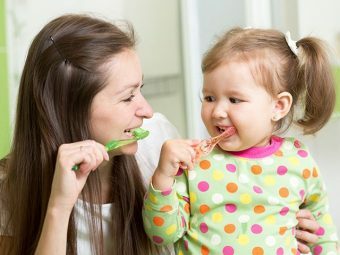 Lastly, your kid is also more likely to grind his teeth if you do! Most often, this grinding of teeth occurs during the sleep, when the person is unaware of the condition. In such cases, the following bruxism symptoms may be noted. Grinding of teeth, especially during the young age, may trigger dental problems. While there are no adverse effects of this habit as such, it has been found that this habit, if continued over a period of time, could cause headache or earache. In certain severe cases, increased temperature sensitivity may be noted in the tooth affected maximum by the grinding, and it may arise due to wearing down of the enamel. Chipping of teeth, facial pain and jaw problems such as temporomandibular disease is also noted in worst cases. Grinding of teeth is thought to affect the jaws and may cause hearing loss, and in very rare cases, it may even change the appearance of the face. In even more severe cases, it may lead to fracturing of teeth, wearing them down into stumps and loosening and loss of teeth is reported, after which, bridges, crowns, root canals and implants may be needed. 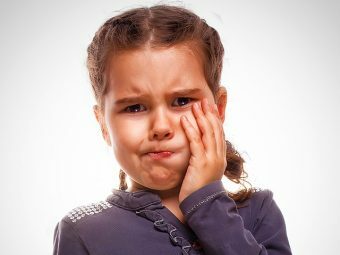 As mentioned earlier, in most cases, bruxism in children tends to go away after the child grows older. However, you could also try some soothing routines to decrease the risk of grinding his teeth during sleeping. Try to have a proper bedtime schedule for your kid. Avoid allowing him to stay up late at night. If there’s toothache or a ear infection that’s causing your child to clench his teeth, speak to your doctor about the appropriate medication to ease his discomfort. You could also get your kid to try some relaxing activities before bedtime to ease his stress that may be triggering this condition. Comfort your kid and be there for him during his initial stages of development. Stay in contact with the happenings in your kid’s life. Check out your child’s day to day activities and school performance. If there is any major change in his life, for eg., if you’re moving, and your kid is anxious about it, try to help him settle down and find new friends. Avoid letting your kid chew anything that’s not food- for example pencils or pens. Keep your kid away from chewing gums. Cut back on his caffeine content. Get your child to Practice relaxation exercises. Calm down the jaw muscles by applying warm compresses on your child’s cheek. 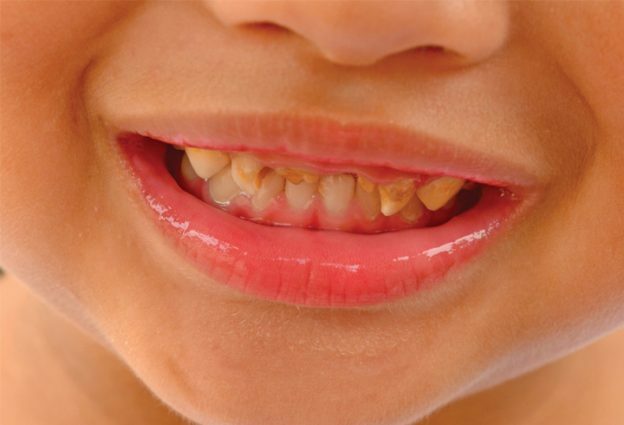 Some doctors may also suggest a night guard in cases where children tend to grind their teeth at night. This plastic device is to be fitted in the mouth, and can prevent clenching and grinding of teeth during sleep. Dehydration and nutritional deficiencies are thought to be the cause of bruxism in many cases. So make sure your kid is well hydrated and has a regular, well-balanced diet. Get your kid to play outside and work up a sweat. This will not just ensure proper growth and development, but will also prevent stress that may trigger the condition. Regular exercise helps relax nerves and prevent teeth clenching. For children affected by this condition due to improper alignment of teeth, you can also consider taking a dental appointment to sort it out. In certain rare cases, stress relievers and any of tips listed here may not be enough to calm down the condition. In such cases, you may need to consult a doctor to better understand the exact cause of the problem, and then follow up with a proper treatment. 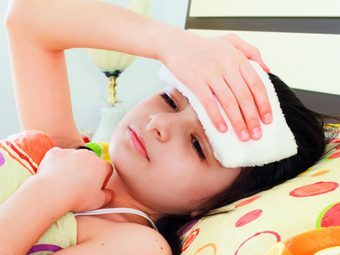 Experts believe that around 3 out of every 10 kids suffer from this disorder, however, almost all grow out of it as they progress from childhood to adulthood. This is good news, so do not worry too much; this too shall pass. Let us know about your experiences in dealing with this condition in your kid.